I took my Dad to the mall the other day to buy some new shoes (he is 66). We decided to grab a bite at the food court. I noticed he was watching a teenager sitting next to him. 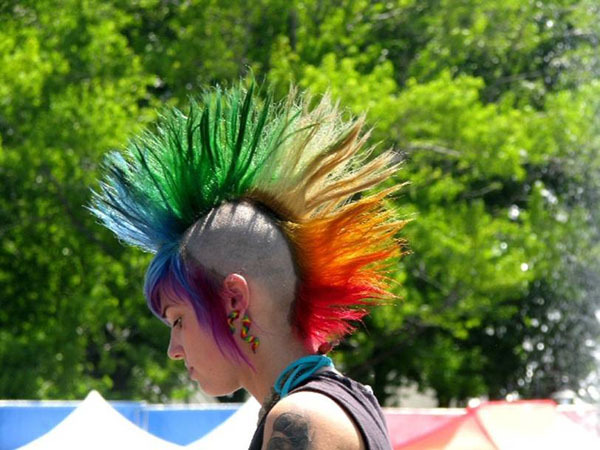 The teenager had spiked hair in all different colors - green, red, orange, and blue. My Dad kept staring at her. The teenager kept looking and would find my Dad staring every time. Knowing my Dad, I quickly swallowed my food so that I would not choke on his response; I knew he would have a good one! “Got stoned once and screwed a peacock. I was just wondering if you were my daughter."